You are currently on: Tuākana programme page. Open sub navigation overlay. Our Tuākana programme is a mentoring service that builds a tuākana-teina relationship to support undergraduate Māori and Pacific students, particularly in their first year of study. What is the Tuākana programme? Increasing access to resources and University services. Providing opportunities to meet more students, at your own level and above. Keeping informed about Māori and Pacific funding, research, performance, exhibition and work opportunities. The programme is organised by subject, in five groups: Architecture, Dance Studies, Fine Arts, Music and Urban Planning. Each group is run by student mentor(s) – high-achieving senior Māori and Pacific Island students (tuākana), who are dedicated to helping you succeed in your studies. Tuākana for each group run workshops for the main stage one courses in their subject. If you’re enrolled in any of these courses, you’ll be invited to attend. Tuākana also meet regularly with their students (teina), both one-on-one and in groups, to discuss any problems or issues they may be having, help them to develop both general skills and skills specific to their area of study, and encourage them to undertake academic work that is supportive of their identity. Our faculty has three Tuākana rooms spread across the City Campus. The main Creative Arts and Industries Tuākana Room is available to all Māori and Pacific Island students during their studies. Fine Arts and Music Tuākana rooms are only for those studying at Elam or the School of Music. The faculty Tuākana Room for Māori and Pacific Island students is Room 220 of the Architecture and Planning Building. Map of Creative Arts and Industries. Size: 552.5 kB. Type: PDF. Download this PDF file. Size: 552.5 kB. This is close to the Creative Arts and Industries Student Centre – walk through the red glass doors and the room is to the left of the yellow elevator. The room has a couch, whiteboard, two computers (and desks) and a large table (with many chairs). It’s the primary room for the Architecture, Dance Studies and Urban Planning Tuākana workshops. It is also available for Māori and Pacific Island students to use for study groups, discussions and individual study. If you’d like to use the Tuākana Room please ask at the Creative Arts and Industries Student Centre. If there are no workshops being held (or other bookings), you’ll be given a key. Note: you will be asked to hand in your student ID in exchange for the key and that you will be responsible for any damage that occurs to the room while you are in possession of the key. If you have further questions, talk to the staff at the Creative Arts and Industries Student Centre. Located in Seminar Room A of the Main Fine Arts Building (Building 432). This is below the Fine Arts Library and above the Main Elam Lecture Theatre. Check the location of Building 432 on the Map of Creative Arts and Industries. The room is unlocked at all times and can be used as a place to hold discussions, eat, study, relax, or even have a sleep. It has beanbags, comfortable couches and a kitchenette (including sink and fridge). If you have questions or would like to book the room, email tuākana Ara Houkamau: ahou591@aucklanduni.ac.nz. This is in room 513 of the Fisher Building (Level 5). The room has a couch, comfortable chairs, kettle, fridge and two small workspaces. 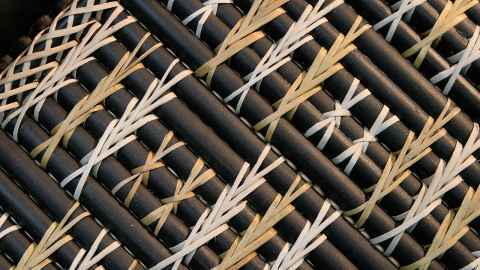 It is available for Māori and Pacific Music students to use for studying, instrument practice or as a place to relax. If you have questions or would like to book the room, email tuākana Jayden Houghton: jayden.houghton@auckland.ac.nz. We hold a range of events for Māori and Pacific students throughout the year. You will be kept up to date through your Tuākana subject group on Canvas - the University's student Learning Management System. If you have questions or comments, get in touch with our Creative Arts and Industries Student Centre.